I know it's a bit early but theres nothing like being prepared is there! 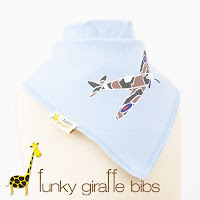 We recently reviewed some bibs from Funky Giraffe Baby. 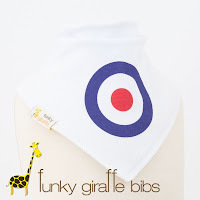 You can see our review here As Father's Day is coming up we have a set of two Funky Giraffe Bibs bandana bibs to give away to one lucky winner. The giveaway is open for UK entrants only. The competition will end at 12.00am (BST) on 8th May 2013. 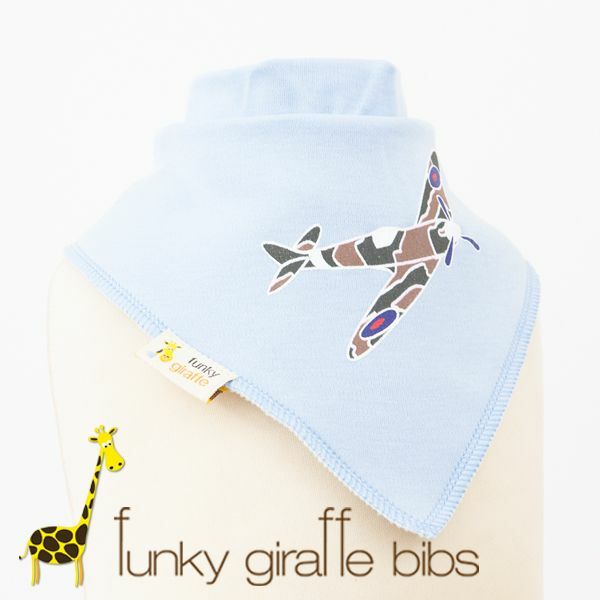 The winner will be emailed within 48 hours of the competition ending with details of how to claim their prize. If the winner does not claim their prize within 7 days we will have to redraw. 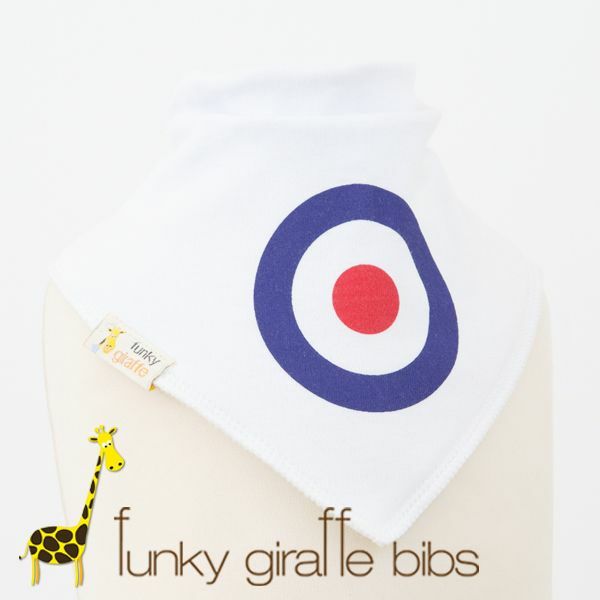 I asked my 5 year old what he would put on a bib and he said....monkeys playing football! LOL! Don't laugh but a banana...its a standing joke here that we pretend Harry is talking and calls Emmy a narna! Penguins - both me and my son love them.